Eberspächer diesel air heater with saloon outlets. Sun Odyssey 439 lines emphasise speed, accommodations and a sailor-friendly rig and deck layout. The cockpit is wide and comfortable, with a clear passageway leading aft between the two helm stations to a drop-down swim platform and boarding ladder. The saloon is spacious and comfortable and has an L-shaped galley to starboard of the companionway. This is a charter boat available for sale under special charter release purchase system with delivery in October. Limited viewing can be arranged during the charter season. 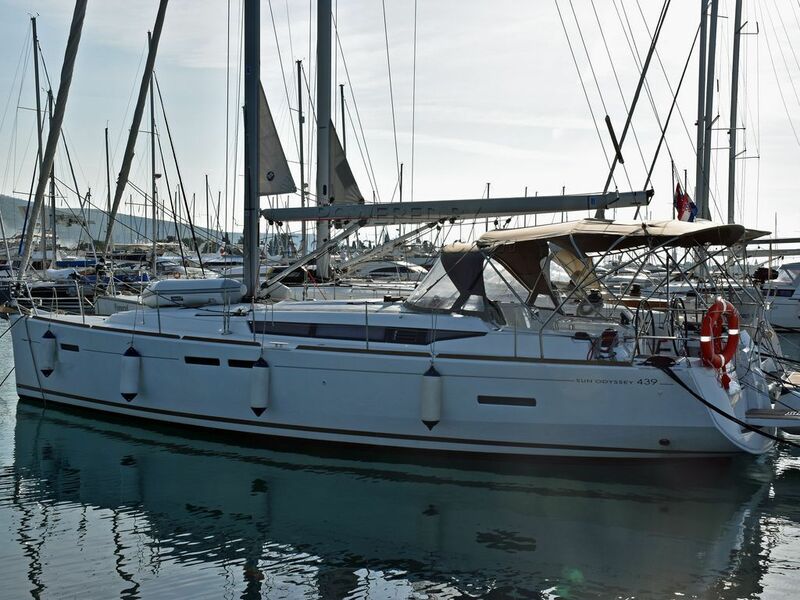 This Jeanneau Sun Odyssey 439 4 Cabins/2 Heads Charter Version has been personally photographed and viewed by Maroje Mose of Boatshed Croatia. Click here for contact details.